We learned at the end of last week’s reading, Bereishit, that G-d saw that mankind was behaving badly, there was a huge rate of immorality, idolatry and robbery, and G-d resolved to bring the flood which went on to destroy all the earth’s inhabitants except for the righteous Noach, his family and sufficient animals of all different kinds to repopulate the earth after the flood (Bereishit 6:5-7). Noach was commanded to build an ark (Bereishit 6:14), being given 120 years to do this. While building the ark, he was given the job to try and get all the other people on earth to repent and follow the ways of G-d, however he failed in this endeavour and many commentaries criticized him for that. There was a sharp contrast between Noach and Avraham, we will learn in Parshah Vayera (in two weeks time), that Avraham will bring many people to follow the ways of G-d and to repent, and he will even pray for the wicked to change their ways (when he davens to spare the city of Sodom in the merit of the righteous people of that city (Bereishit 18:24-33)), however Noach did not pray for the rest of the people to repent. After failing to bring the nation to repent, there was an unlikely extra passenger that attached himself to the ark, that person was the giant Og (Zevachim 113b) (whom later proves to be a massive opponent of the Jews in the book of Bamidbar). After forty days and nights, the flood covered even the tops of the highest mountains on earth. After 150 days (Bereishit 8:3) the water started to recede and on the 17th day of the 7th month, the ark came to rest on the Mountain of Ararat (Bereishit 8:4). Eventually G-d commanded Noach and his family to depart from the ark. Noach then brought sacrifices to G-d from the animals which were carried in the ark for this purpose. G-d then vowed to never again flood the entire world (Bereishit 8:21) and then designated the rainbow as a sign of this covenant (Bereishit 9:12-13). The Parshah continues by telling us that Noach and his descendants were now permitted to slaughter and eat meat, due to Noach taking care of the animals in the ark. G-d then commanded the Seven Noachide (Universal) Laws, for all people of all nations to keep; the prohibitions against idolatry, adultery, theft, blasphemy, murder, eating meat torn from a live animal, and the obligation to set up a legal system. The reading progresses to list the offspring of Noach's three sons (Shem (Malkitzedek), Yefet and Cham) from whom the seventy nations of the world descend from. The Torah then continues to illustrate the incident of the Tower of Bavel (Bereishit 11:1-9), which resulted in G-d fragmenting communication into many languages and the dispersal of the nations throughout the globe. All of mankind were living in the same area, and decided to build a huge tower, which they believed would later shelter them from another flood. Despite the people were doing this to fight against Hashem, they were all united together, so Hashem had mercy among the rebellious people and did not wipe out all of them just like he had done in the flood, we learn from this that when people are united together, Hashem will show more mercy to them even if they do wrong. However the main point of life is that everyone should be united together in following the ways of the Torah!!! The Parshah concludes with the genealogy of Noach to Avram. From the last part of the Torah reading we learn of Avram’s faith in G-d, as he admonishes idolatry and is sent by his father, Terach, to the first ‘mighty man,’ Nimrod. Nimrod tried to entice Avram into idolatry in a public ceremony, if he refused to bow to the idol, Avram would face the death penalty. Avram refused, and was thrown into a fiery furnace by Nimrod, however a miracle occurred, he did not burn in the fire, and walked out without a single burn on his body, to Nimrod’s shock (Pesachim 118a). Avram had really strong faith and perfect belief in G-d, recognizing that there is only one G-d and admonishing idol worship. 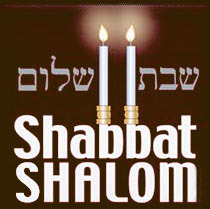 Hope you all have a fantastic Shabbat, Shabbat Shalom!! You can ask Michael to dedicate a devar torah for a refuah shelemah or in memory of someone. Just use the contact button on the left of the screen to send him an email directly. Help us by contributing to hosting costs for this website. All content by Michael Zaroovabeli of the Ohr Somayach Yeshiva in Jerusalem. TorahVort.com takes no responsibility for any errors in the website, we ensure to correct any mistakes at soonest possible moment, We try to be as accurate as possible with all teachings from the respective Torah topics. Most Dvar Torah's have sources to any verses quoted or teachings taught from various different sources. Please kindly voluntarily refrain from using the website during Sabbath times in the respective locations the website is being viewed on.